A solid pay per click strategy for your law firm puts you in control of search engine placement and gives you immediate results. Control is key. As it’s very easy to pay way too much per click (and for too many clicks) when you don’t know what you’re doing. The danger for any attorney running their own PPC campaign is a budget that spirals out of control. This is the downfall of many PPC campaigns and one reason many attorneys avoid it. Google AdWords is the leading PPC tool and gives users control over what they spend. It comes down to very precise parameters that are easy to misunderstand. You can pay too much for the wrong kind of customer or the wrong kind of ad. Even if your campaign is perfect, too many of the right clicks can add up to more than your campaign is worth. A law firm could end up paying for PPC hand over fist. At Network Affiliates, we don’t let that happen. Our team will work with yours to your budget and your goals. With us in control, your PPC campaign will never exceed your budget. To counter high costs, we identify keywords that produce conversions. That’s why we begin with intensive keyword research, then develop a solid landing page for the ppc campaign. Then we develop your ad’s keyword strategy to align with the content we’ve created for the landing page. As with any other page on your site, content is very important for landing pages. We’ll work hard to get you a real return on your investment. We specialize in Pay-Per-Click management targeting the right customers at the right times. 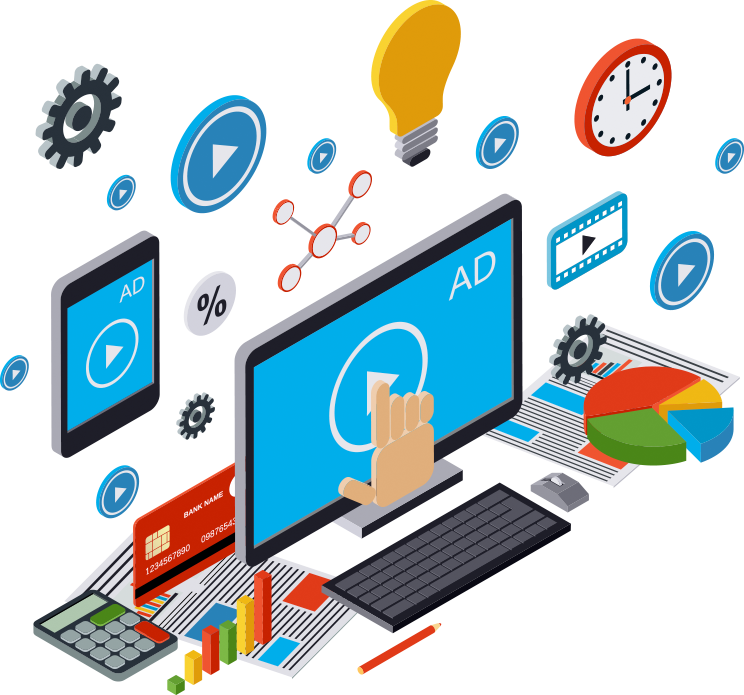 We aggressively track your ads’ progress and fine-tune as needed, making sure you’re never paying more per click than you need to get the very best results. Most digital marketing methods are long-term oriented. Content marketing and organic SEO are extremely effective but they take time. In the right hands, pay per click can deliver almost-instant results. That’s not a “make-it-big-quick” promise. it’s just the way AdWords works. That speed to market is among the biggest advantages of pay-per-click marketing for law firms. We’re often able to achieve first-page ranking for the majority of your keywords within days of launching your campaign. We can make modifications on the fly too. If we need to pause one campaign and launch another to address a new keyword or edge out a competitor, we can do that with the click of a mouse. When you compare PPC’s quick results to the decidedly long-term nature of organic search and SEO content marketing, it makes sense for your web strategy to incorporate a PPC component. Network Affiliates can actually coordinate your SEO efforts with your PPC ads, using the keyword data that we mine from those ads to inform the content we add to your website. Make the Most of Pay-Per-Click Marketing. Call Us Today. PPC is a powerful and reliable way to expand your practice and bring in big new cases. Great results come from careful, strategic, and experienced PPC campaign management. That’s what we offer at Network Affiliates. With our PPC advertising, you’ll only pay for relevant traffic. We create expertly written ad copy, and we execute responsible, budget-conscious campaigns. We bring in worthwhile traffic and cut down on dead leads.